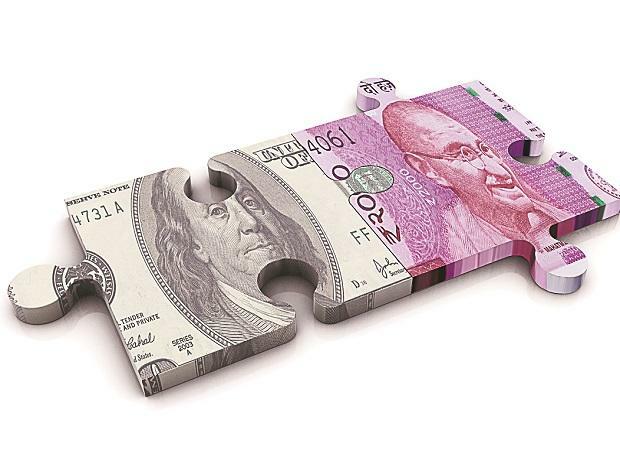 The Indian rupee on Monday strengthened the most among all major currencies in Asia, hitting an eight-and-a-half month high of 68.53 a dollar on increased portfolio flow. 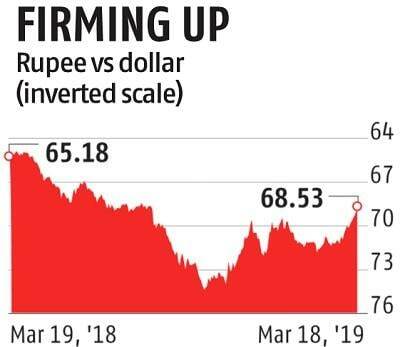 Rupee gained 0.823 per cent against the dollar in intra-day trade on Monday, the steepest gain in the region, while Korean won gained 0.442 per cent. Year-to-date, the rupee has gained 1.8 per cent, whereas some others in the region, such as Thai baht, have gained just over 2 per cent. “Rupee is appreciating because of strong portfolio inflow in March. Globally, stock markets are rallying too, and there is a feeling that Modi is going to form the government again after the Pulwama incident. That indicates political stability,” said Ritesh Bhansali, vice-president, Mecklai Financial. So far in March, the portfolio flow in equity has been over $3 billion, while in debt, the flow has been of more than $800 million. The Reserve Bank of India’s (RBI’s) proposal to swap $5 billion with banks is also viewed positively by the market. “The policy stimulus from the RBI is sustaining strong foreign investor inflows into the Indian equity markets,” Nomura said. “Scope for the policy stimulus is provided in parts by the lower inflation environment, with inflation unlikely to become an issue into H2, 2019,” it added. However, the RBI’s swap facility may not have much of a bearing on the exchange rates, and should be visible on the day of the auction on March 26, or the day before, Bhansali said. One of the reasons why the rupee is appreciating against the dollar is because the RBI has minimised its intervention in the currency markets, currency dealers said. Exporters, who have been sitting cautiously, expecting the rupee to depreciate, have now started selling dollars to cut their losses. “Stop losses are getting triggered. Exporters are disappointed with the sharp movement and have started selling dollars. This is strengthening the rupee even more,” said a currency dealer with a foreign bank. ALSO READ: Will oil be lucky for the RBI? Exporters have predictably expressed their disappointment on the rupee appreciation. “Such sharp appreciation is causing concerns both among exporters and importers as uncertainty in the exchange rate is driving volatility,” said Ganesh Kumar Gupta, president, Federation of Indian Export Organisation. According to Gupta, exporters who have contracted at the higher exchange rate, for example, at Rs 74 to a dollar, but could not hedge it due to non-availability of limit by the banks, tend to incur huge losses. Similarly, those who imported at Rs 74 to dollar for exports a few months back, will now get Rs 68-69 upon exports, resulting in losses. “This is a new and additional challenge faced by exporters, who are struggling with contraction in global demand, liquidity challenge at the domestic turf and fierce competition from other competing currencies,” Gupta said.